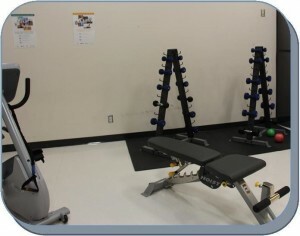 In its ongoing commitment to supporting healthy people and a healthy community, Headingley Seniors’ Services Inc. (HSSI) officially opened the Encore Health and Fitness Studio on October 01, 2014. HSSI received a government New Horizons Grant toward an older adult fitness facility. The Rural Municipality of Headingley offered the use of the stage in the Headingley Community Centre at 5353 Portage Avenue. 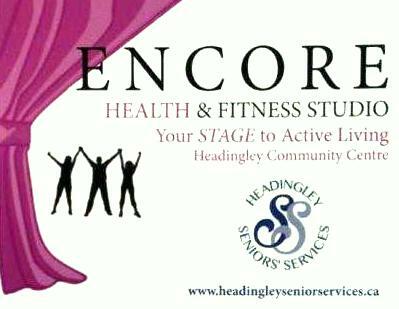 Through much work with Macdonald-Headingley Recreation District, ENCORE Health and Fitness was born. The equipment available includes: – a Recumbent Bike, Bosu Ball, Free Weights, a Mini Trampoline with Stability Bar, Soft Shell Medicine Balls, Resistance Equipment, a Seated Elliptical, a Stability Ball, Exercise Mats, a Treadmill, a Hoist Multi-Gym and an Exercise Bench. The equipment is available to participants 18 years of age and over and who have taken the Safety Orientation.